Make sure you avoid the hypnotic staring eyes of the evil cow. Otherwise he might be able to take control of your mind. Of course he might just be trying to convince you to turn vegetarian. 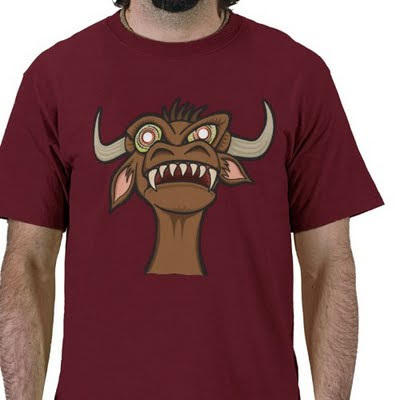 Get yourself an Evil Cow T-shirt.